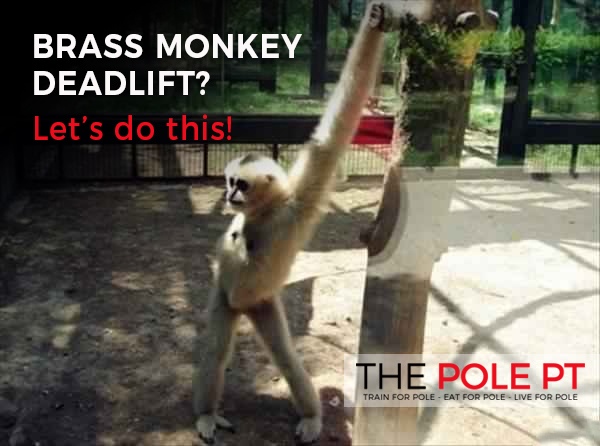 Today is all about that cheeky little monkey – the Brass Monkey Deadlift! Otherwise known as ‘Brass Monkey press’, ‘Half Flag invert’, ‘Western flag invert’ – and probably a gazillion other names, too! Like all pole deadlifts, the press to Brass Monkey is one of those movements that looks completely do-able when you first see it on Instagram, especially if you’re already pretty comfortable with both your half flag and your brass monkey. Like all pole deadlifts, this move is a lot harder than it looks. There are some really awesome trick tutorials on the interwebs already, so, instead, I want to look a little bit more at the movement patterns and muscles involved in performing the brass monkey deadlift. 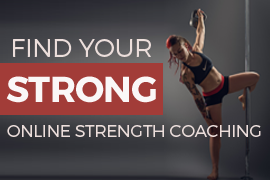 And I’ll give you some exercises that will help you get stronger in those movements and muscles, to help you nail this move once and for all. If you’d rather watch than read, I’ve summarised this entire blog post in the video below, including exercise demos. So what’s actually going on with the brass monkey deadlift? There are a couple of different ways to press into a brass monkey. I’ve seen some magical polers doing it like an elephant press – straight backwards with the legs, but for this post, we’re going to be talking about the more common ‘swivel up’ version. This can be done with either bent or straight legs (the straight leg version being the more difficult of the two). So what is happening with this move? 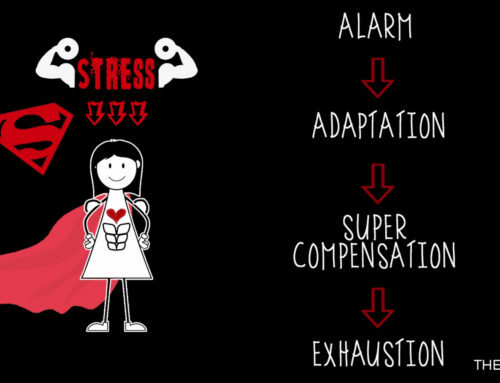 What muscles are doing all the work? The main two things going on are: 1. A strong press through the bottom arm; and 2. Some beast-level lateral core strength that comes from the internal and external obliques (the muscles down the sides of the torso) and the QL muscle – these are the muscles that are primarily responsible for lateral movements (side bending) and rotation. If you want to find out more about pressing exercises for pole dancers, I covered that in more detail here: Push ups for pole dancers. 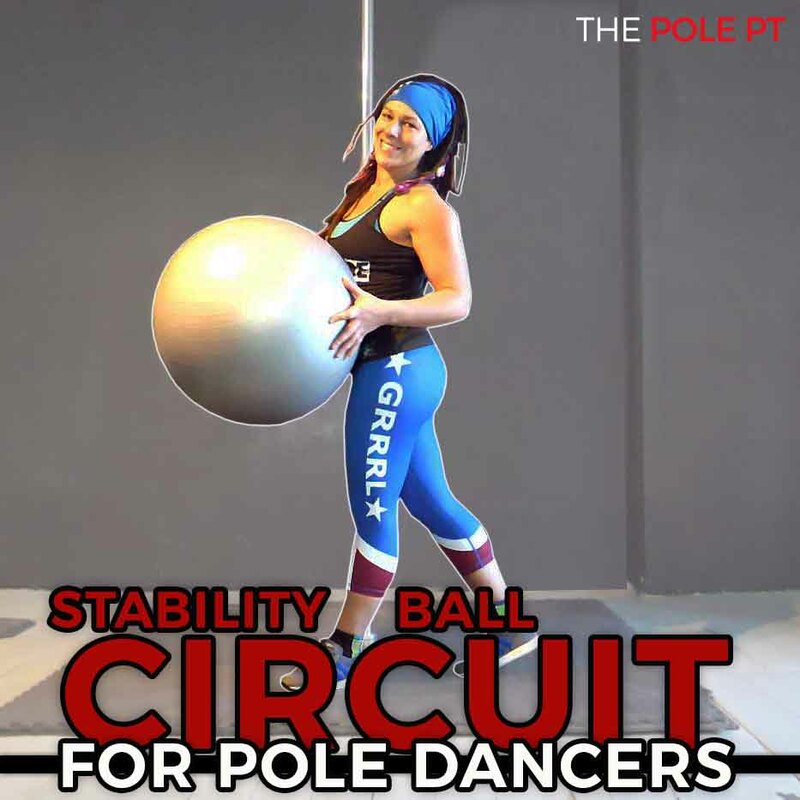 And for more geeking-out on lateral core strength for pole dancers, you can go here: Lateral core strength for pole dancers (Iron X edition). I know you’re a pole dancer, so this is going to sound really boring (we just frickin’ love being extra don’t we? 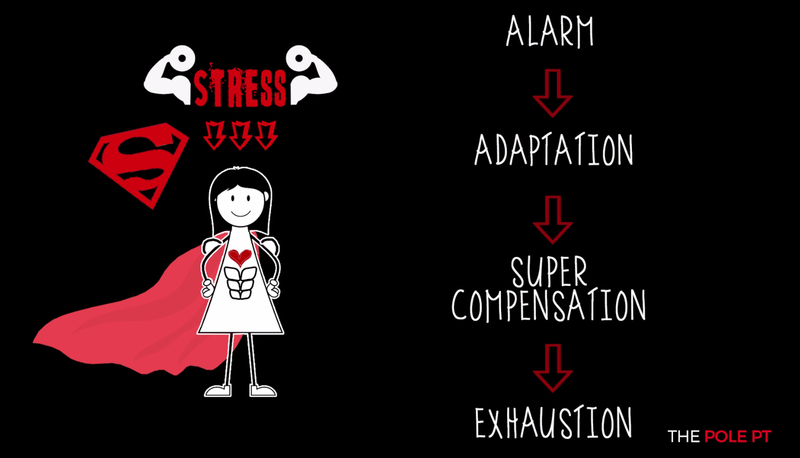 ), but basic strength training really is simple. And we have a habit of making it unnecessarily complicated! One of the best ways to build lateral core strength is the good old side plank. If you don’t already have a solid side plank, this is the best place to start. If you do it with a straight arm, instead of on your elbow – you’re also performing a pushing action with the arm at the same time as working your core muscles. To programme this into your training, you could start with 3 x 30 second holds on each side, alternating sides, and try to build up the time each week as you get stronger. 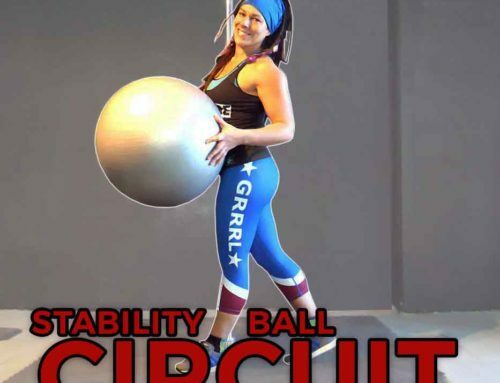 If you’re already nailing your side planks, a more brass monkey-specific movement you can do is the oblique crunch using a suspension trainer or a Swiss ball. This exercise requires you to tuck your knees in a crunch to one side, swivelling the hips, while pushing down through the hands. Doing this on a suspension trainer means you are using your own bodyweight, suspended in the air. Hmmm …. sounds a little bit like the movement we perform in the brass monkey? 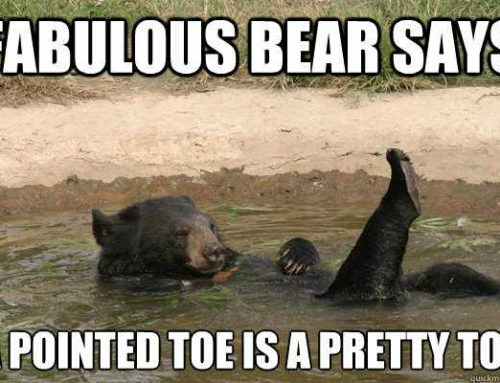 Yes, why yes it does! In the video, I show you how to advance the movement to a straight legged version and also how you can do the exercise with a Swiss ball if your gym doesn’t have a suspension trainer. Side note: if your gym doesn’t have a suspension trainer, why the hell not?! Get onto your gym manager to fix that right away – suspension trainers are awesome for off the pole training! How many to do? Hey, I’m a 3 sets of 10 kinda girl. You can’t go too far wrong starting with 3 sets of 8 to 10 reps. Make sure you rest in between each set! Exercise 3 is just: brass monkeys. ALL OF THEM! The more familiar you are with moving in and out of the brass monkey position, the easier it is going to be to train your body to lift into it. So get really frickin’ awesome at brass monkeys – do them from as many different entries as you can (layback, extended butterfly, sneaky v, shoulder mount – the list goes on!) and get creative with your exits. If you can exit your brass monkey by tucking the legs and coming as slooooowly as you can back down into a flag grip, that, in particular, will REALLY help you build strength for the lift. This is called ‘training the negative’ and it works because lowering out of your brass monkey is a helluva lot easier than lifting into it, but if you focus on controlling the movement and doing it real slow, the same muscles are working, so you’re still building strength in the muscles that need to be strong to perform the lift. Remember: Slowly, slowly, catchee monkey! You can find out more about ‘training the negative’ in my post: Turning negatives into positives: eccentric training for added pole power. Obviously, you need to get hella strong in your flag grip, too! Eventually, you will be able to tuck, twist and push into your brass monkey with bent legs, and that is the breakthrough, happy dance, #nailedit brass monkey deadlift moment you’ve been waiting for! Nope, the pole mission never ends! 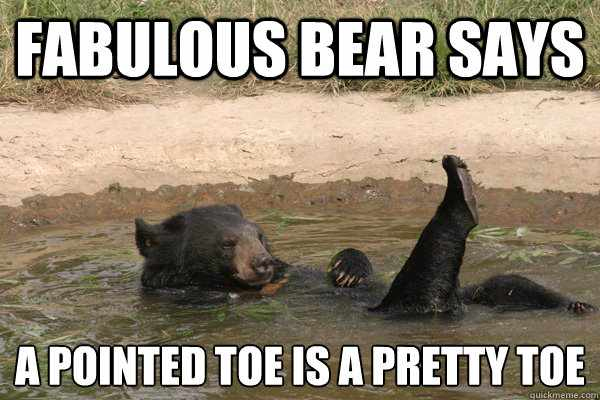 But that’s why we love it, right?! 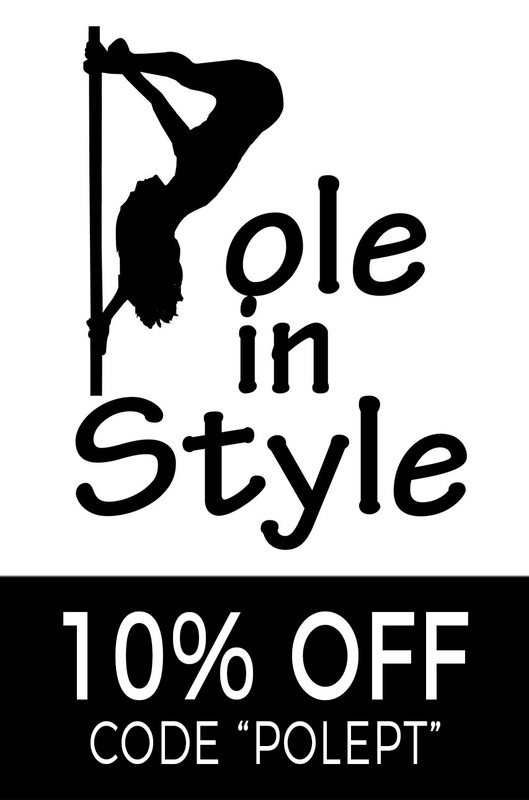 Find out more about online personal training for pole dancers here.